If you haven't noticed, I've got the candymaking bug lately, people, and I've got it bad. And since its coincided with my insatiable need for all things malted, meet my latest love: the Chocolate Malt Marshmallow. These little gems positively scream, "Gift me! GIFT ME!" just in time for you to realize that you really ought to give a little something to the mailman this year. 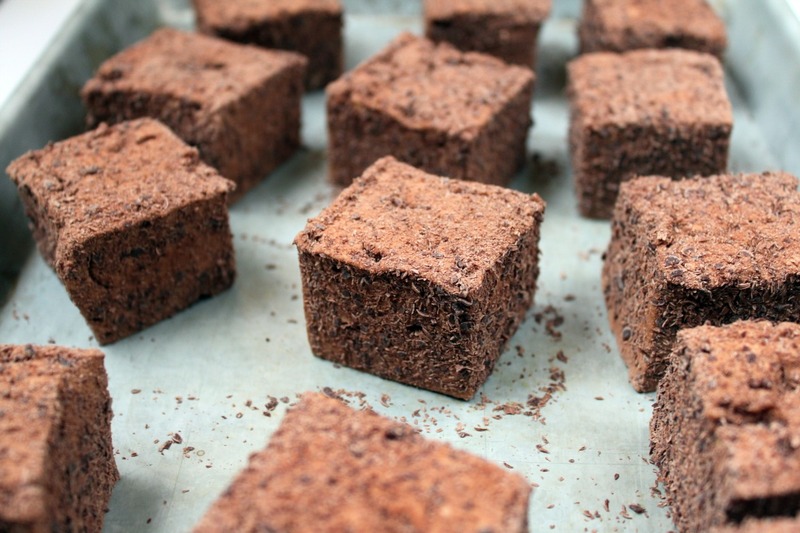 Impromptu gifts aside, these chocolaty, malt-y, delightfully pillowy cubes are just the thing to fill out your holiday cookie tins and bob happily in your wintertime hot cocoa. Coated in bittersweet chocolate shavings rather than powdery cornstarch or confectioners' sugar, I sort of love the shaggy look of them, the way they leave little flecks all over the plate or the mug. Much more charming than the wreath we bought this year that has done nothing more than shed all over my mantle all dang day. I've been vaccuming my mantle, people. But that is neither here nor there. At first glance, you might think you're just getting a plain old chocolate-flavored marshmallow here (not that there's anything wrong with that), but the toasty flavor of malt is such a nice surprise. 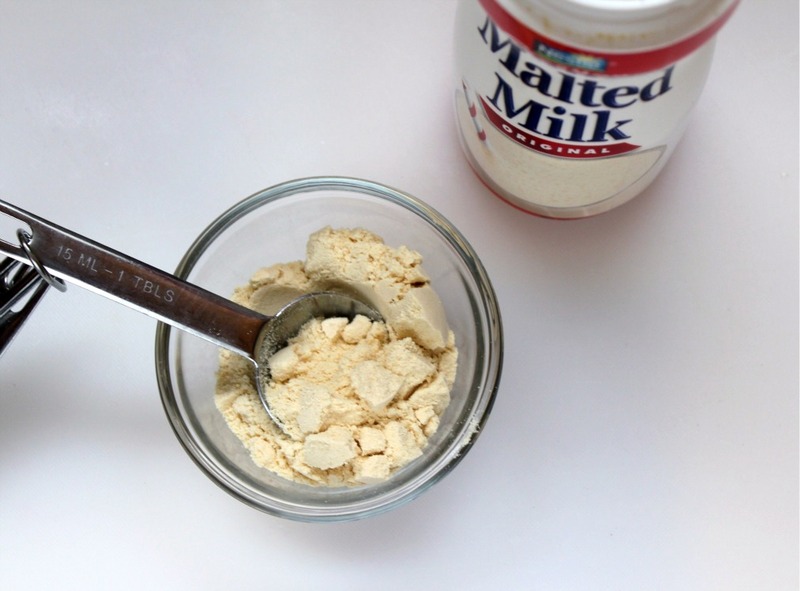 The way I see it, malted milk powder is the most genius thing that you can have in your pantry for when those mad scientist moments hit. It pairs with vanilla as beautifully as chocolate, its perfect with nuts of all sorts, dairy products (naturally) and even a few fruits get along well with it. Malt powder's earthiness and soft, round flavor help to temper the sweetness of whatever it's paired with, making anything malted instantly addictive and craveworthy. It adds richness and fullness without being heavy. Its magical, basically. You know what else I think is magical? Marshmallows. And obviously we all know chocolate is totally magical. So throw some malt into the mix and who knows what might happen. If you put some of these out with the milk and cookies for Santa...well. Let's just say we might all get those fancy new pairs of Spanx that we're hoping for. Malted milk powder can be found in most supermarkets either by the hot chocolate mixes, or near the ice cream fixings. That's right, I said fixings. For the chocolate shavings, grate bar chocolate on the largest holes of a boxed grater. 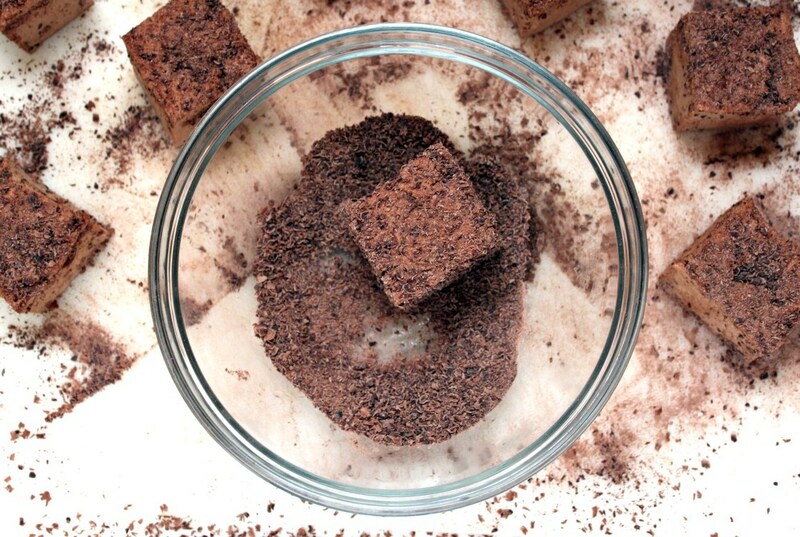 The deeper and richer your cocoa powder, the more intense the color and flavor will be, so use the best one you can get your hands on (I like Valrhona). Grease an 8x8-inch pan with shortening, using a paper towel to rub it lightly and evenly onto the bottom, sides and edges of the pan. Set aside. Sprinkle the gelatin over 1/3 cup cold water in a small bowl. Set aside to soften. Place the sugar, 1/4 cup corn syrup and 1/4 cup water in a medium saucepan and stir gently. Clip a candy thermometer onto the pan, and place it over medium-high heat. Bring it to a boil, checking it occasionally--you are looking for it to eventually hit a temperature of 240-245 degrees. Meanwhile, place the remaining 1/4 cup corn syrup in the bowl of an electric mixer fitted with the whip attachment. Heat the softened gelatin in the microwave to melt it, about 30 seconds or so on high. Start the mixer on low speed, and pour the gelatin into the corn syrup. Keep the mixer running on low speed. Whisk together the cocoa, malt powder and boiling water in a small bowl until smooth. When the sugar syrup is up to temperature, whisk the cocoa mixture into it, followed by the vanilla. Carefully transfer the syrup to a large, heatproof measuring cup or a similar vessel with a spout for easy pouring. Turn the mixer up to medium speed and slowly pour the sugar syrup into the gelatin mixture. When all the syrup has been added, crank the speed up to medium-high and let it go for about 10 minutes--the candy will become fluffy and the color of a chocolate malt during this time. Sift together 1/2 cup confectioners' sugar and 3 tablespoons cocoa powder. Set aside, and keep the sifter handy. Pour the marshmallow into the prepared pan. Use an offset spatula spritzed with a bit of cooking spray to nudge it into the corners and smooth the top. Sift the cocoa-confectioners' sugar mixture evenly and generously over the top. Let sit for about 6 hours, or overnight. Use a knife to loosen the marshmallow from the edges of the pan and invert it onto a cocoa-confectioners' sugar mixture-dusted work surface. Cut the marshmallow into squares (a pizza cutter works great here). Dip the sticky edges of the marshmallows in chocolate shavings, and dab more all over the marshmallows. Store in an airtight container for up to 1 week.